There's an old saw which states that, if you want to get ahead, you should dress for the job you want, not the one you have. This has always been slightly problematic (the shop assistant who comes to work dressed as a fireman is more likely to be handed a P45 than a hose) but never more so than now. That phrase essentially used to mean 'wear a suit and the nicest tie you can afford'. These days, turning up to work in a suit will probably make people think you're due in court, not a job interview. But the collapse of unspoken dress codes has made what you wear to work no less important. In one experiment, participants were given a white coat to wear, with half told it was a doctor’s, and the other half that it was a painter’s. Those who wore the ‘doctor’s coat’ showed an increased ability to pay attention. As Dr. Galinsky – a professor at the Kellogg School of Management at Northwestern University, who led the study – said: "Clothing affects how other people perceive us as well as how we think about ourselves." 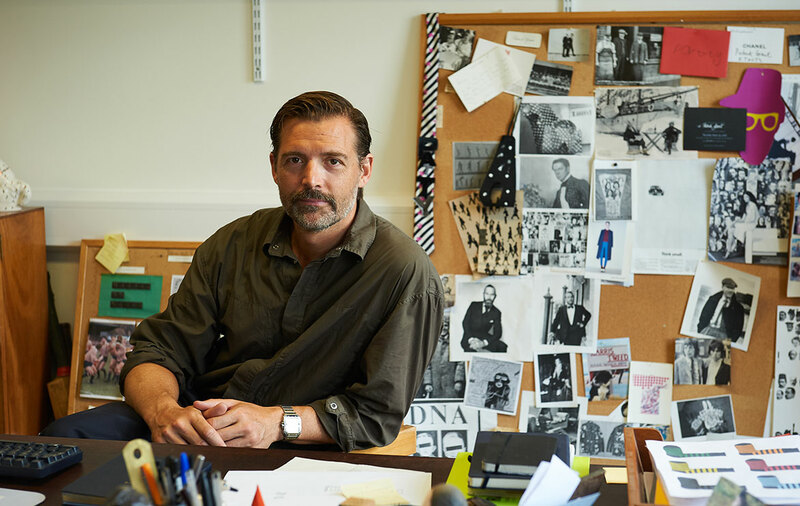 All of which means that your boss – or any potential boss – is still judging you on your wardrobe. You've just got less idea what they think you should be wearing. Luckily, there are some approaches that will impress pretty much anyone. You just need to suit your look to the environment. When you work in a no-dress-code office, it’s tricky trying to stop yourself falling into a denim rut. Warning signs include: wearing jeans every day of the week and still wondering if you need to buy more jeans. If that happens, take your cue from Freddie’s styling and try a pair of cords instead. 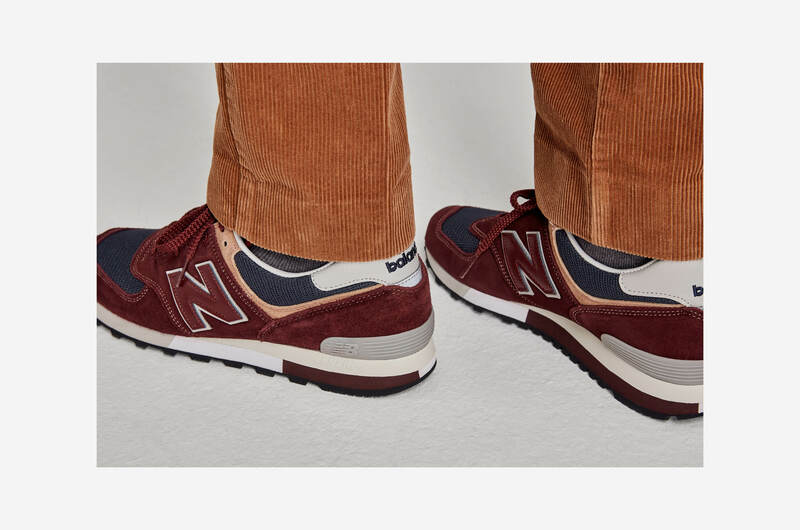 As for shoes, a dedicated pair of trainers (that you don’t wear to the gym) nails the sweet spot between casual and comfortable. Think dark colours, less-is-more branding and as few 'athletic' details – visible air, sock-like uppers, studs – as possible. Finally, embrace layers. Shared working spaces tend to be either too hot or too cold, so the quarter-zip on this knit helps you regulate your temperature. Still too cold? Throw a t-shirt on as a base layer, if you like. 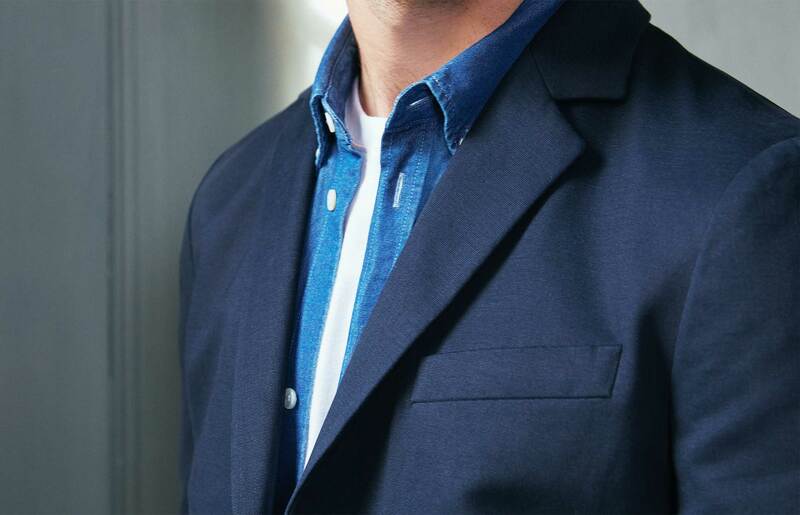 Layers also offer flexibility, so you can smarten-up or dress-down the look as needed. So you quit your job to fulfil your dreams of working for yourself. First of all, congratulations. Second of all, get dressed. 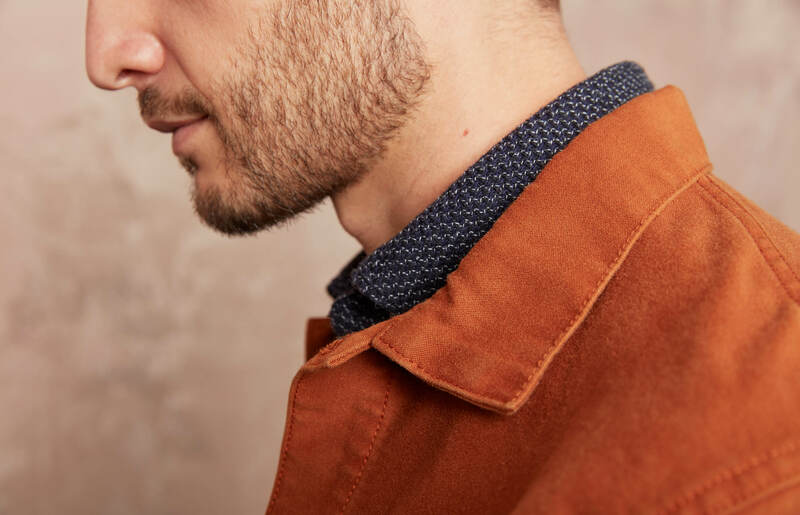 The best move is smart clothes with weekend tweaks. 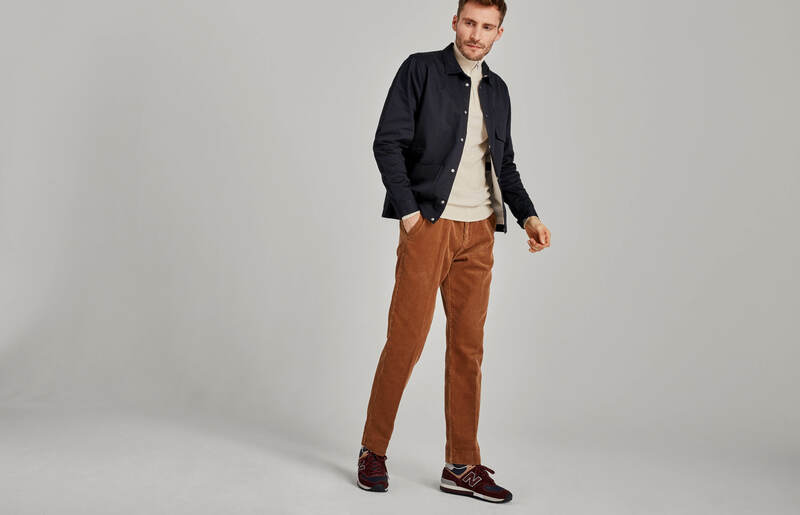 “I really like these cotton drawstring trousers, as they combine the smartness of chinos with a relaxed fit and a more comfortable waistline,” says Freddie. 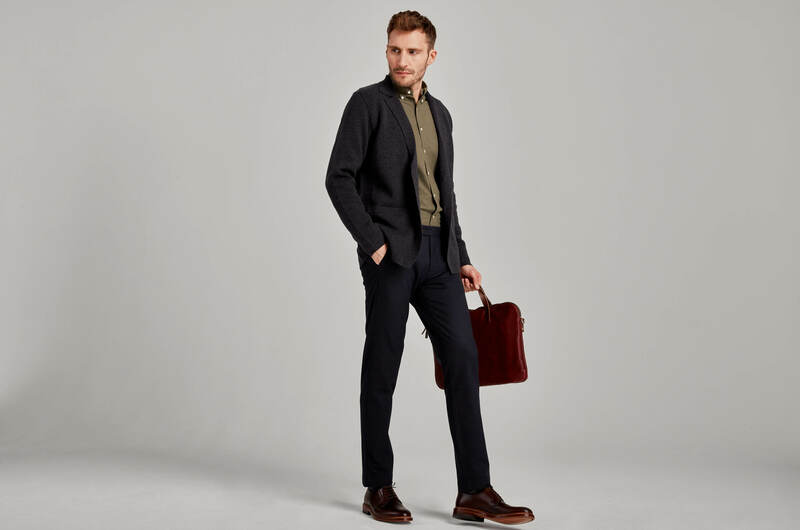 They also run the gamut from super-casual to very smart – they work with a t-shirt at home, but you can throw a blazer on for a last-minute meeting. To avoid running up your energy bills, fabric's your best friend. “The thickness of this knitted t-shirt is in between a t-shirt and a jumper so it’s good for temperature control,” says Freddie. 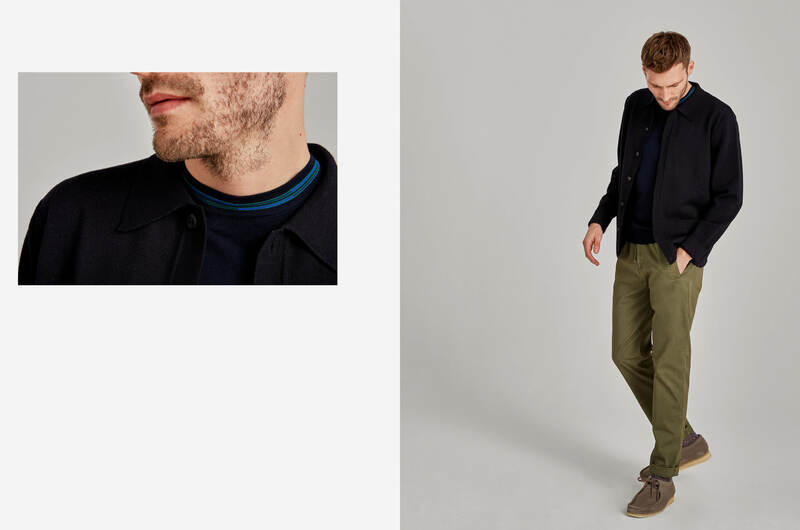 “Then you can throw on a knitted jacket for warmth and a bit of smartness.” Ideal if you need to pop out quickly to the shops, answer the door to the DPD guy, or jump on a conference call and still look presentable. In 2016, when JP Morgan announced that its employees no longer needed to wear suits and ties every day, it seemed the final vestiges of corporate dress were finally slipping away. But these environments are still sartorially cut-throat. In the days when you could be turfed out for wearing the wrong shade of smart shoes, at least you knew exactly what you had to wear to get ahead.